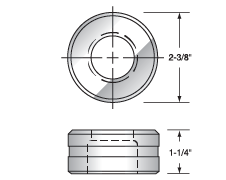 Owners of Clausing™ ironworkers trust American Punch to supply a full range of replacement punches and dies for their machines. Backed by more than 100 years of experience, Clausing manufactured the presses and drills that fabricators around the world rely on – just as they rely on American Punch’s in-house expertise and dedication to quality to deliver the punches and dies they need to keep their Clausing ironworkers running reliably at peak efficiency. 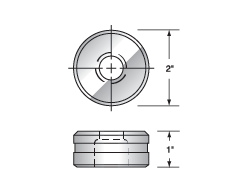 We stock Clausing punches and dies for all models, as well as most tooling for oversize attachments. All are in stock now and can be shipped to you the same day as ordered. Can’t find the tooling you need? Call us and we can make it for you. 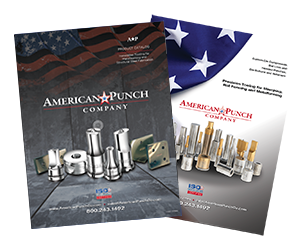 Select an option below to request a quote for the right punch and die sets for your Clausing ironworker – or contact us by submitting this online form or by calling 800.243.1492 to speak with a knowledgeable American Punch sale representative.